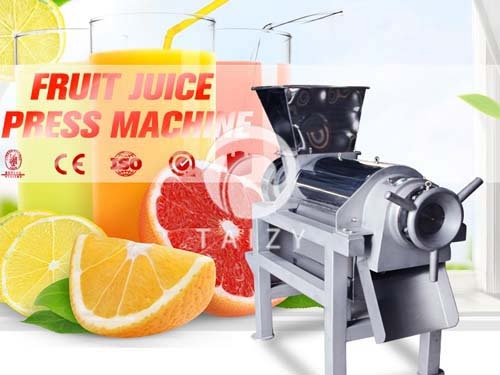 Mutton and beef are common in life, and they taste very delicious when cut into pieces.The automatic beef and mutton slicer is also known as slicer, Meat slicers，lamb cutting machine, lamb slicer, beef slicer, beef cutting machine. 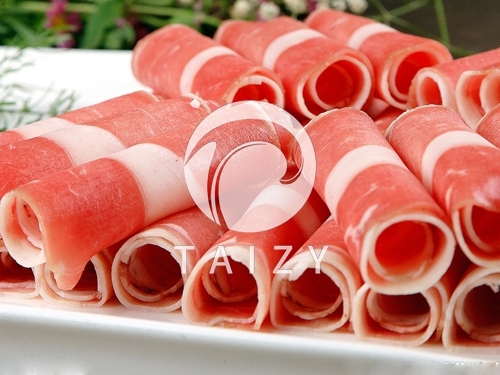 The frozen meat can be cut into thin pieces and automatically rolled into a roll. 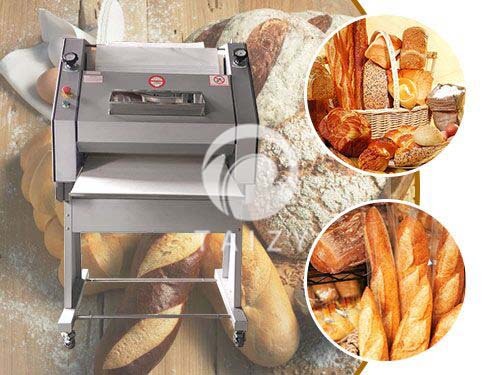 There are many types including CNC slicer, vertical slicer, desktop slicer and slicer with 2 rolls, 4 rolls, 8rolls etc. 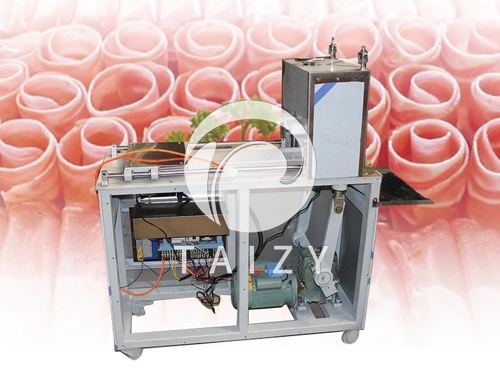 High automation, all operation such as cutting meat, adjusting thickness,delivering meat roll, shutdown can be completed with one button, saving labor time. 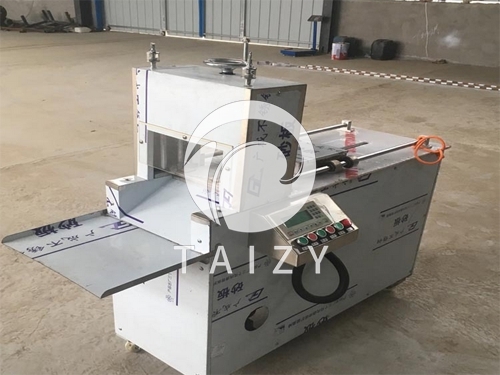 1.Beef slicing machine adopts double-guiding propulsion system, pushing and pressing material and adjusting thickness automatically. 2. 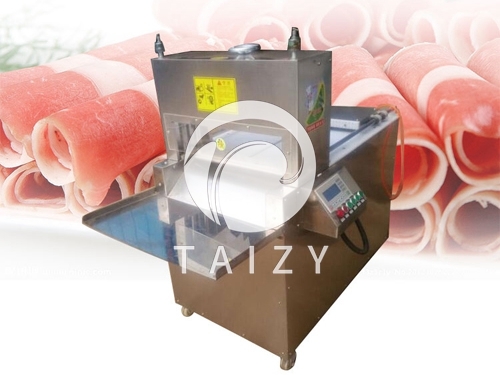 The cutting knife automatically stops when meat is finished,and pushing plate retreats later. 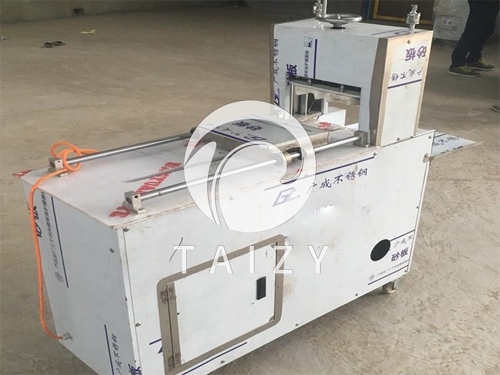 3.The cutter drives conveyor belt to automatically synchronize the operation, and the protective door opens the whole machine to automatically power off. 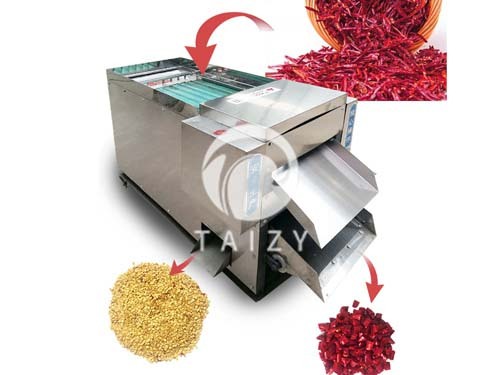 1.Beef meat cutting machine is suitable for the meat without bone but fulling of elasticity,cutting into pieces and rolling them automatically. 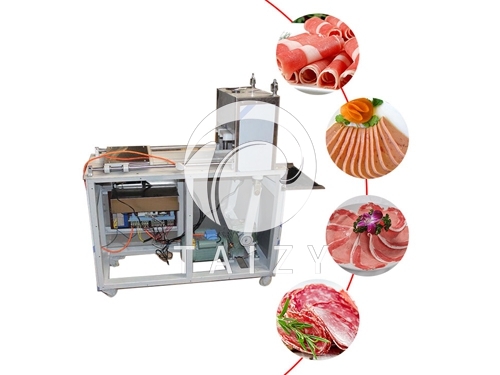 2.This multi-purpose meat cutting machine also can cut all kinds of frozen meat,that is,mutton,beef,streaky pork etc.,widely applying to hotel,big-size food processing industries and restaurant. 1. 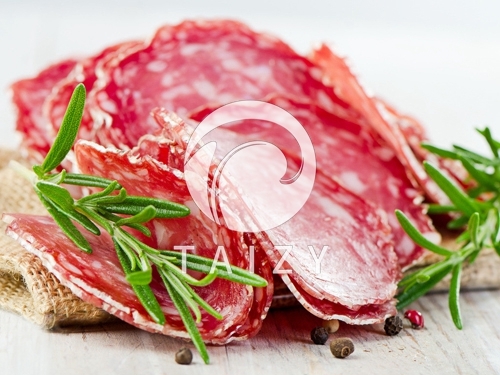 Meat must be moderately frozen and hardened, generally above “-6 °C”. If the meat is too hard, it should be thawed firstly. 2. Do not contain bones in the meat to avoid damage to the blade. 3. Place the meat firstly, and then adjust the button to set the desired thickness. 4.If knife slips or can not hold the meat,indicating that knife has rusted, and it should be sharpened.